It is possible to build a website with one of the most advanced WordPress Premium Themes without knowing code. Developed to bring you the full use of the WordPress Content Management System (CMS). It is the most revolutionary style of placing content onto the Page, Project or Blog Post. An entire library of layout packs to assist you to build a five-page website with a blog without knowing code. Yes, it is possible to do it yourself. For everything you can think of that you want to put put on the Page, Project, or Blog Post. There is no limitation. Select the module and use it. We are in a new era of technology where we can now build an advanced system in a relatively short period of time. You can build an entire website using a preformatted layout in a few days, providing you know how to use the software. When I first started using WordPress, I followed tutorials developed for me by the person who developed the WordPress Theme I was using. I will say this: WordPress is intuitive and logical. The settings are self explanatory and there is no complicated mystery about how it works. 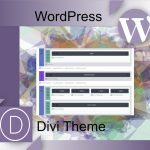 The Divi Theme overlays the WordPress framework. WordPress is the best software to use for a website. It is a fact, 30% of all the websites on the web use WordPress. It is secure and flexible in that you can add to the functionality of the site over time without any restrictions. Divi requires a minimum of 7.0 PHP memory. Some Hosting Companies only provide up to 5.6 PHP. This is what you don’t want, limitation. You add content to the page in real time. You don’t have to draw it on paper and then take it to someone and hope they figure out what you want to do for your website. You do it yourself using a premade layout. This project page is using the Consulting Layout from the Divi Layout Packs. The Design Team at Elegant Themes produces the layout to give you a headstart. As you work with the layout and change the content to suit your project, you won’t have the time consuming technical problems usually associated with building websites. As you can see there are quite a few categories in the built-in Divi library of premade layouts. This library comes with your purchase of the Divi Theme from Elegant Themes, the makers of Divi. The way to learn how something is used is to use it. You have to be willing to try it out. There is very little that can go wrong with what you do in a module. The settings either will or won’t work. If you don’t like them you can change them. 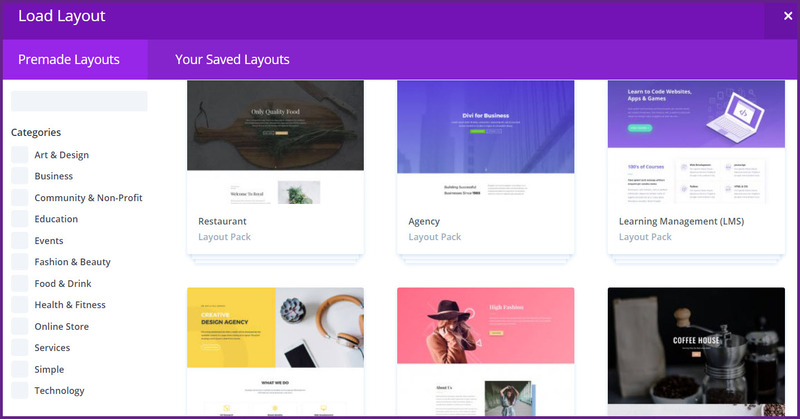 This is a Page Builder and it comes with the Divi Theme. 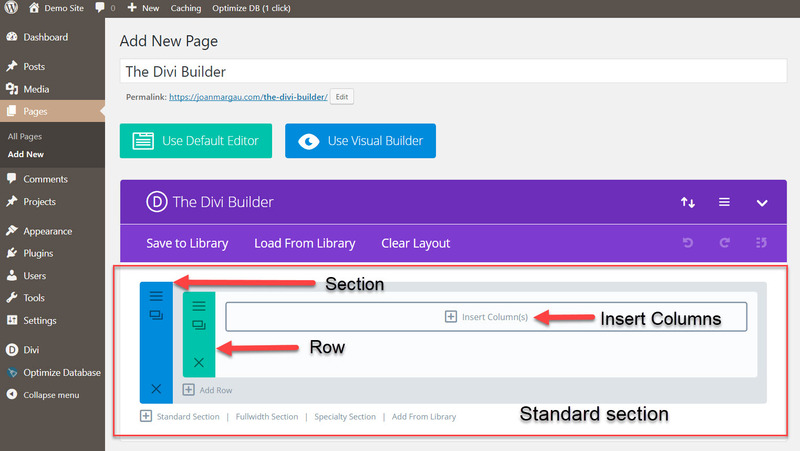 When you add a new Page, Project or Blog post you have the option to use the Divi Builder. 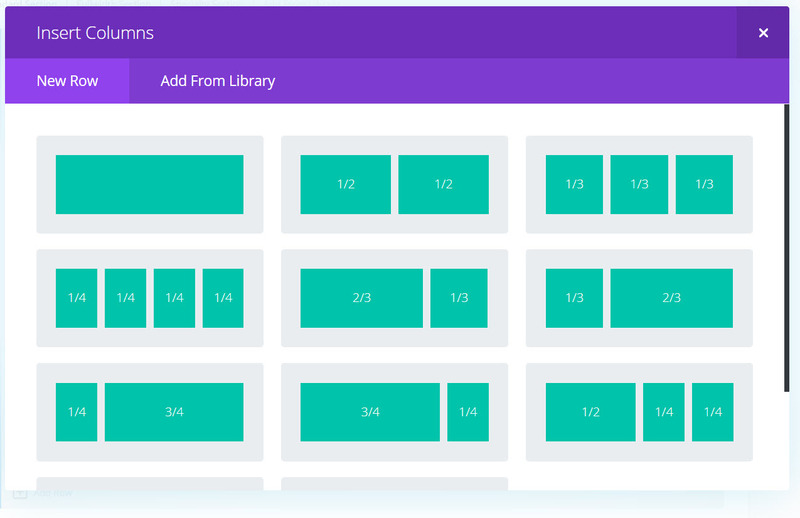 The Divi Builder is designed with sections. This is the Standard Section that opens when you enable the Divi Builder. The section holds the rows and the modules. A web page is divided into sections or divied up into sections, that’s how Divi got its name. The next step is to insert the columns for the section. Click on Insert Column. When you insert the column the module selection is the next step. These are the different layouts you have for the content on a given Page, Project, or Blog Post. As you can see they are preset and you don’t have to do anything regarding the width or size. The next step is to choose what kind of module you want to use. Now comes the fun part. You have to experiment with all the different modules to find out how they function. 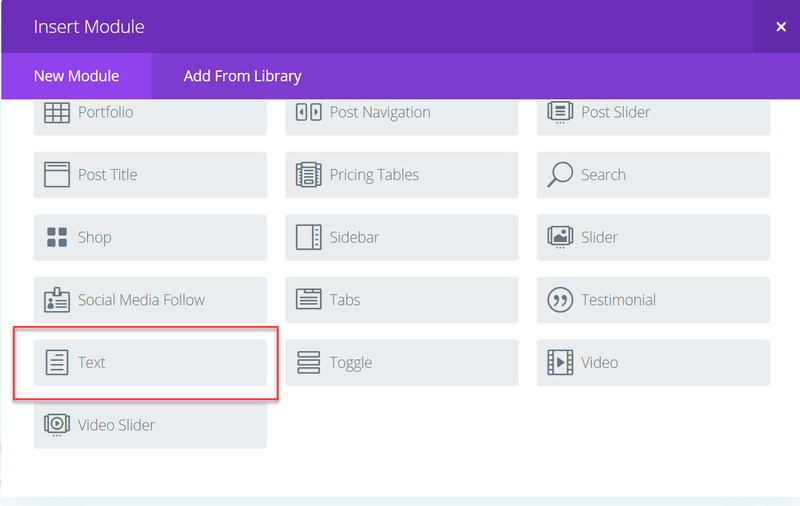 The modules give you options for adding content onto the page. The modules are arranged in alphabetical order so the Text module is at the bottom of the list. As you can see there are a lot of modules. Each module has a specific function. The nice thing about such a variety is the ability to put content onto a page to create a pleasurable reading experience for the visitor to the website. This is one of the premade settings in the Consultant Layout Pack. You can change the colors and the image. Once you know how to use the settings, built into the modules, you will be adding content directly onto the page. Wait until you use the Visual Builder, and make edits directly onto the Page, Project, or Blog Post. You see the changes as you make them. This is my affiliate link. I’ve been with Elegant Themes since 2012. Set it up. Download, upload and activate Divi. You must be a member of Elegant Themes and have a Hosting Company that offers 7.0+PHP memory for your website. Go through the process of how to figure out what you want for your website. 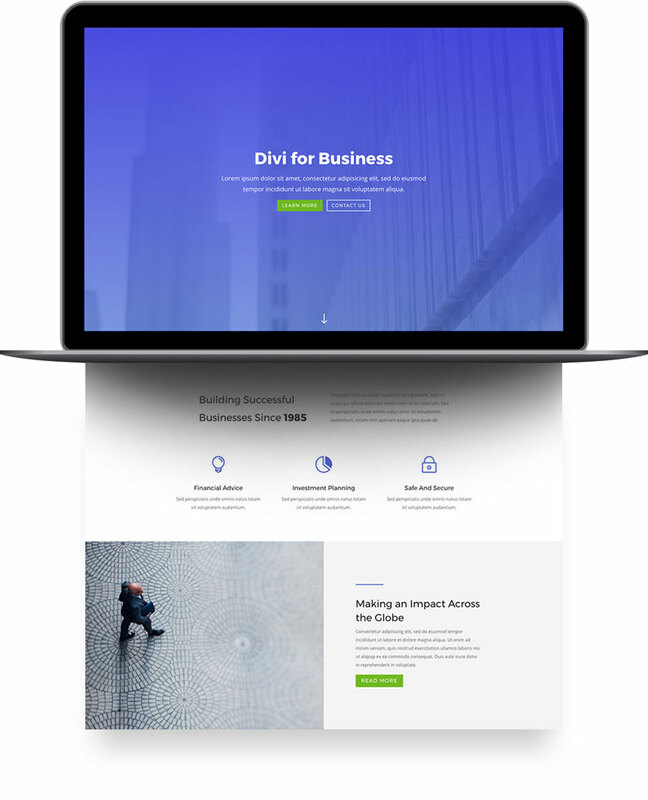 With the Divi Theme you’re the designer. The best way to learn is to follow the designer’s lead. Before you know it you’ll have a website and be asking how to change the advanced settings. That’s how the non-tech user builds a website. You just closed the technology gap. So, this sounds expensive. It isn’t. You don’t need a fortune to look like an expert. You just need someone to show you how it works. Everyone can use Divi. Did you know the software doesn’t ask you how much you know before you are allowed to use it. Follow the designer’s lead. The premade layout starts the journey to planning your website. As you go through the different modules you’ll get ideas. There is no such thing as a generic website and they all look the same. The layout is a guide to change. The ideal combination of flexibility and longevity, which is what you want. Your website is a statement about your business and what you do. Creating it your way puts you in charge. This is something we want, you don’t want to rely on someone else to do it for you. They’ll never do it as well as you.